Your senior loved one deserves to travel and see the world, and post-retirement is the perfect time to hit the road. There are many fun places to see, full of new experiences, lively cultures, and beautiful sights. If your loved one has a bucket list, encourage him or her to check off one destination at a time. Here are some of the exciting places your loved one should visit post-retirement. Many of the tourists who travel to Hawaii are retired seniors. Although most people believe this US state is geared toward the younger crowd, there are many senior-friendly activities available on the different Hawaiian Islands. This allows your loved one to explore and participate in activities at his or her own pace without worrying about keeping up with others. 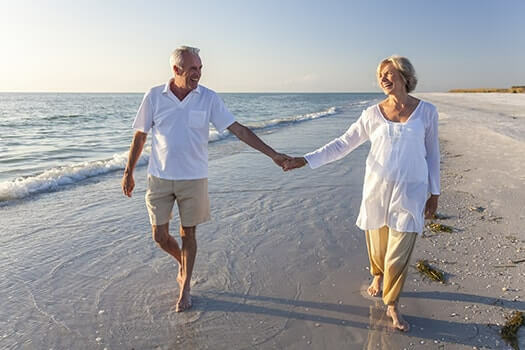 Your senior loved one can enjoy the beaches, island cruises, forest trails, park tours, luaus, and much more. Whether your senior loved one is able to go on vacation or not may depend on his or her health. If your elderly loved one is living with a serious medical condition and needs help managing the tasks of daily living, reach out to Home Care Assistance, an Oshkosh home care company you can trust. Our caregivers are available 24/7, there are no hidden fees in our contracts, and we offer a 100% satisfaction guarantee on all of our in-home care services. An Alaskan cruise is perfect for senior retirees who love to hike offshore. Your loved one can be as relaxed or as active as he or she wants while traveling on an Alaskan cruise. There are itineraries for seniors only, in addition to activities your loved one can do with family and friends. Seniors can stay on board or go offshore to see the wonderful wildlife and scenery Alaska has to offer. This location may seem like a wild party spot, but it is actually an exciting destination for senior retirees. Your loved one can enjoy time at the beach or visit one of the many museums, botanical gardens, shopping centers, and restaurants in the area. These fun activities can help your loved one remain social while learning new things that could preserve his or her memory. Each year, many people travel to the Caribbean to enjoy the beautiful sights and fun activities. Nevis is the ideal choice for seniors because it doesn’t have all the noisy casinos and loud parties. Your loved one can enjoy a peaceful vacation tasting the fabulous cuisine, visiting the greenest islands, going to the fun golfing venues, and looking at the spectacular views of historic sights, including sugar mills and the wildlife at Nevis Peak. This US location is less than an hour away from Phoenix, and it should be on the top of a retiree’s traveling list. It is located in a geological wonderland, surrounded by amazing scenery. Your loved one can see the red rock formations that change colors as the light and weather fluctuates. Seniors do not have to worry about traveling by foot. Instead, they can take jeep tours to go bird watching and more. Your retired loved one can also enjoy the stunning art scene or spend the day at one of the many spas in Sedona. Older adults with limited mobility or other health conditions may need assistance going outdoors or managing day-to-day activities. Performing daily tasks while simultaneously managing the symptoms of a serious illness can be challenging for seniors. The Oshkosh live-in care experts at Home Care Assistance are available 24/7 to make sure your loved one has the care he or she needs to remain safe and comfortable while aging in place. If your loved one enjoys history, this is the perfect post-retirement vacation spot. While visiting Williamsburg, he or she will have the opportunity to experience what it is like to be an original settler while staying at one of the many Colonial Houses. Your loved one can take a tour, visit the saddle makers, or meet up with the historical characters who act out the details of early life in America. This includes portrayals of the Founding Fathers and First Lady Martha Washington. The rich history could keep your loved one’s mind stimulated and active. A road trip allows seniors to travel at their own pace while enjoying the beautiful scenery. Highway One is a stretch of highway known as the Big Sur Coast, which is between Carmel and San Simeon. There are wonderful inns and resorts where seniors can sit in their rooms and soak up the gorgeous views. This is an inexpensive trip seniors can take with their friends and family, allowing them to bond and create everlasting memories. Planning a trip while providing daily care for an elderly loved one can be a challenging task for family caregivers. If you are the primary caregiver for a senior loved one in Oshkosh, respite care is available when you need time away from your important caregiving duties. At Home Care Assistance, our respite caregivers are available 24 hours a day, 7 days a week to help your loved one manage everyday tasks in the comfort of home while you have the chance to take a much-needed break. Call us at (920) 710-2273 to schedule a free in-home consultation.